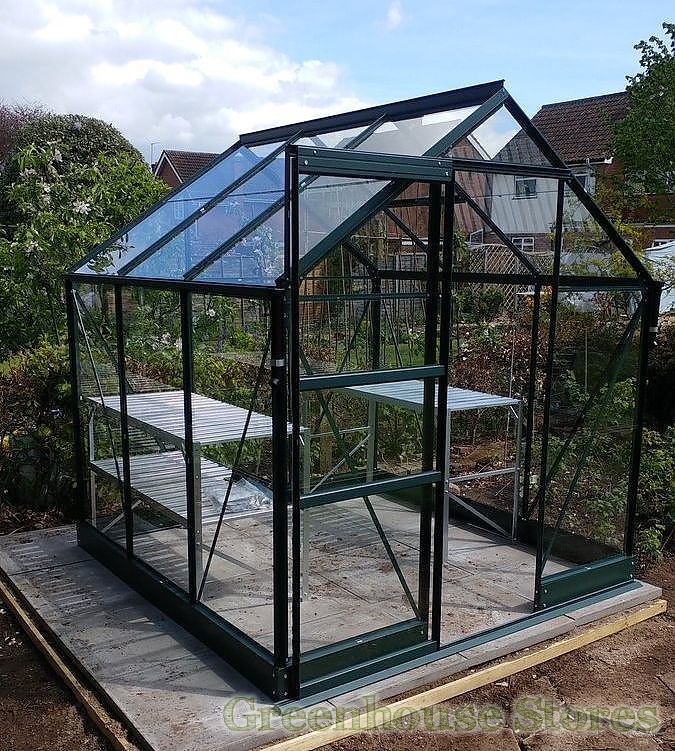 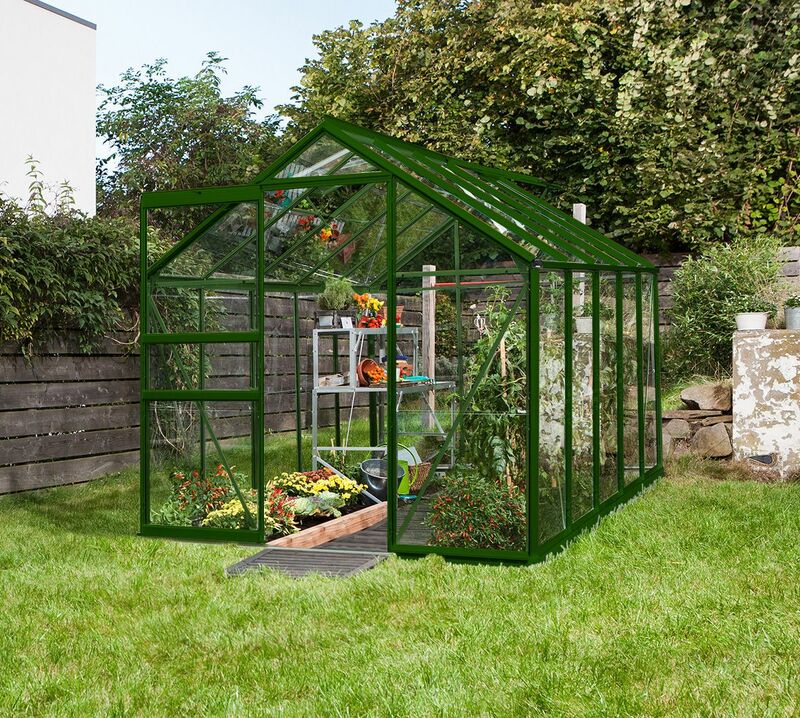 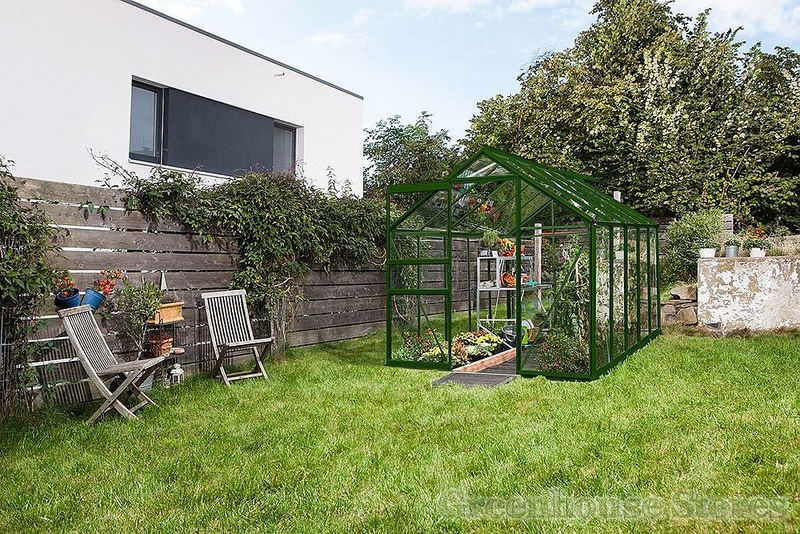 The Vitavia Apollo Green 8x6 Greenhouse with Polycarbonate Glazing looks great and is completely safe for use in family gardens. 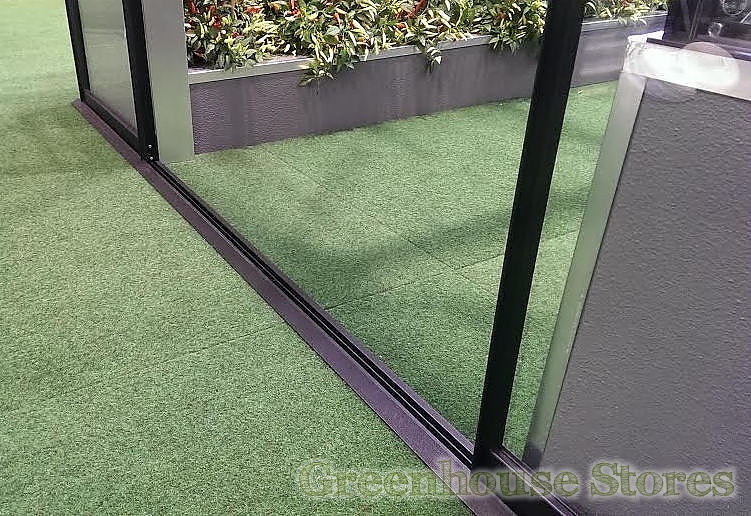 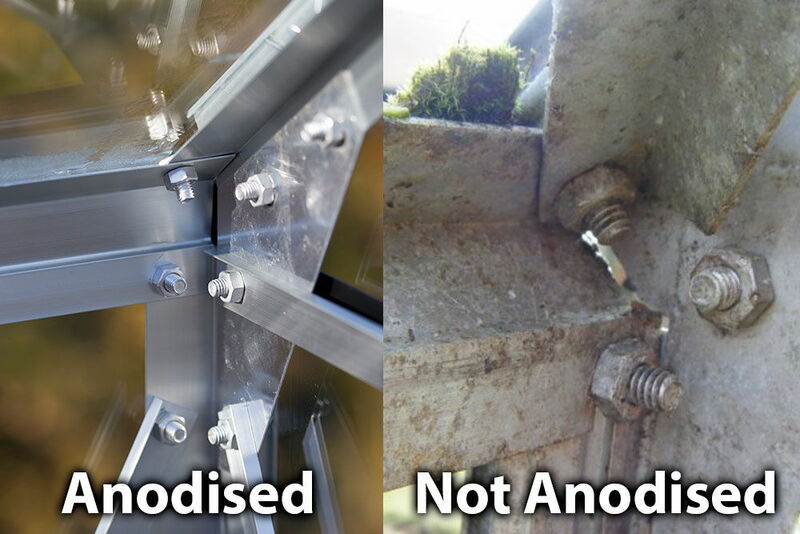 There’s no base to trip over, and no glass to break, perfect ! 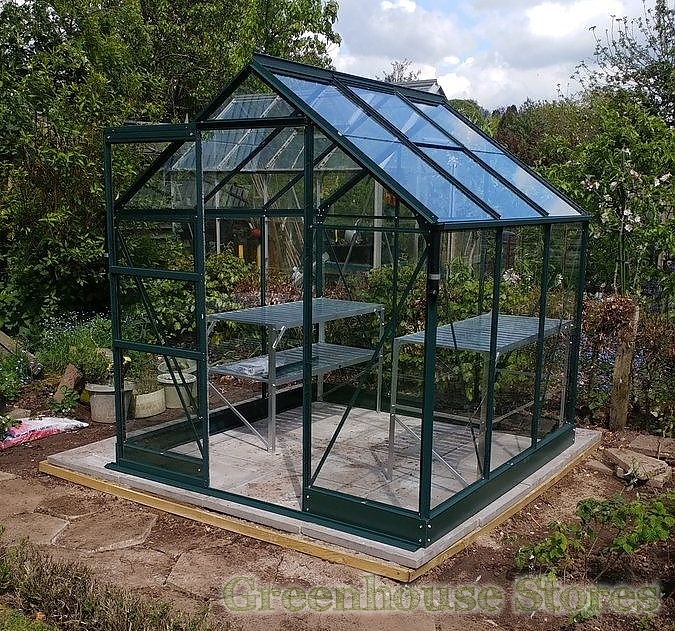 This Green Apollo 5000 8ft x 6ft model has 1 opening roof vent for ventilation, a single sliding door that can be fitted to slide left or right as well as integral gutters.